Home > News > It’s silver for Ella! Ella Gibson has won a hard-earned silver medal for Great Britain at the first leg of the European Youth Cup in Rovereto, Italy. The compound junior qualified in fourth place and put in a dominant display to earn her shot at the title, dismissing Janeta Grinvalde of Latvia 141-139, Italian Francesca Bellini – who had earlier beat Isabelle Carpenter by a single point – and Russian top seed Elizaveta Koroleva 142-141. That brought her face to face with second seed Lisell Jaatma in the battle for gold. And it was close – but the Estonian just edged it. Ukraine’s Oleksandra Hrabik took bronze. Sarah Moon and Abbie Spinks were ranked 10th and 11th respectively. Sara fell 143-140 to Switzerland’s Janine Hunsperger while Abbie was beaten 144-140 by Italian Sara Ret. Recurve cadet Heather Hughes put in another spectacular show and came within a hair’s breadth of winning bronze. The 32nd seed’s first step was to defeat teammate Hannah Rowley 7-1. Then she saw off top ranked Pole Karolina Jurasz 7-3, Tihana Kovacic of Croatia 6-2 and Greece’s Lida Nanou – who beat Alyssia Tromans-Ansell in a hard-fought match – 6-4. That brought her face-to-face with the fourth seed, Elisa Ester Coerezza. Again it was tough but the Italian edged it 6-4 and went on to win silver. That left Heather facing sixth seed Melodie Richard in the bronze medal showdown. Heather fought hard but was edged out by the Frenchwoman. Nicole Burdett was beaten 6-0 by Russia’s Aiuna Mankhanova. In the recurve cadet men’s category, Thomas Susca went agonisingly close to a quarter final place. In fact, it took a double shoot-off to stop him. The 23rd seed beat Austria’s Dieter Daxbock 6-4 and Italian Niccolo Lovo 6-4 before coming up against Hugo Lartigue. After a tie, both athletes shot a 10, forcing the second decider. Thomas shot a nine – but the Frenchman hit the X to go through. Jacob Reid was also denied a quarter final place. The 28th seed defeated Cosmin Frai of Romania 7-1 and Russia’s Dambi Damshaev 6-4 but could not get past Poland’s Karol Kepa. Jakob Barrett-Rees fell 6-0 to Italy’s Pierpaulo Masiero. Junior recurver William Pike, ranked 35th, did make it to the quarter finals – and was only denied a semi-final spot by a shoot-off. He saw off Estonia’s Karl Kivilo 7-3, third seed Erdem Irdyneev of Russia and Latvian Blaze Davis in a shoot-off. Then he came up against Mikkel Berrig Rasmussen. It was neck-and neck all the way, forcing the decider. William shot an eight but the Dane hit the nine. He eventually took silver. Nineteenth seed Thomas Nairn beat Austria’s Maximilian Hasslacher 6-2 before falling to Davis and Cameron Donaldson, ranked 32nd, beat Frances Florentin Lecat 6-2 before losing out to Russian top seed Sodnom Budaev who went on to take gold. Compound cadet Lewis Haslam also made it to the quarter finals. He defeated Croatia’s Lorenzo Vujanic 142-130 but could not overcome Oliver Christiansen, who knocked out Nathan Thomas in a shoot-off. The Dane went on to win silver. Jacob Caine lost by a single point to Switzerland’s Justin Varone. The recurve cadet women’s team came so close to a medal. Alyssia Tromans-Ansell, Heather Hughes and Hannah Rowley qualified in seventh place and went on to beat the Netherlands 5-1 and second seeds Ukraine 6-2, before falling foul of Poland in the semis. The bronze match was against Germany and, despite a brave performance, it was the Germans who walked away with the medal. Our recurve cadet men – Jakob Barrett-Rees, Jacob Reid and Thomas Susca – qualified in 10th place but found their progress blocked by Poland. Juniors Cameron Donaldson, Thomas Nairn and William Pike defeated Slovakia 6-0 for a quarter-final place but could not get past top seeds Russia who went on to take gold. 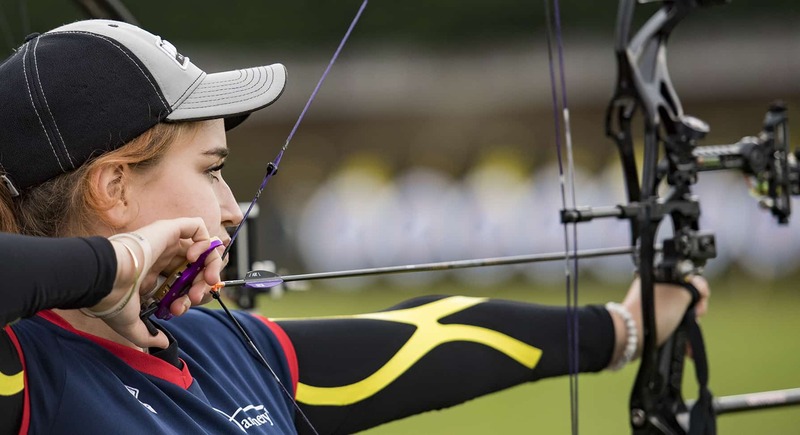 There were only two teams in the compound junior women’s competition – Great Britain and Italy – and top qualifiers Isabelle Carpenter, Ella Gibson and Sarah Moon took the honours with a 223-219 win. It was a similar situation for the cadet men, Jacob Caine, Lewis Haslam and Nathan Thomas. They were ranked second and lost out by four points to top seeds Denmark. 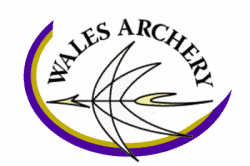 In the mixed team competition recurve cadets Alyssia Tromans-Ansell and Thomas Susca, seeded ninth, beat the Netherlands in a shoot-off to land a place in the quarter finals. There they faced the top seeds, Russia. It was neck-and neck all the way forcing another shoot-off. And both teams scored 18 – but this time Russia edged it.